Named in 1813 by Johann Friedrich Ludwig Hausmann from the greek λειμωυ for meadow alluding to its common occurrences in bogs. Massive may be very soft. 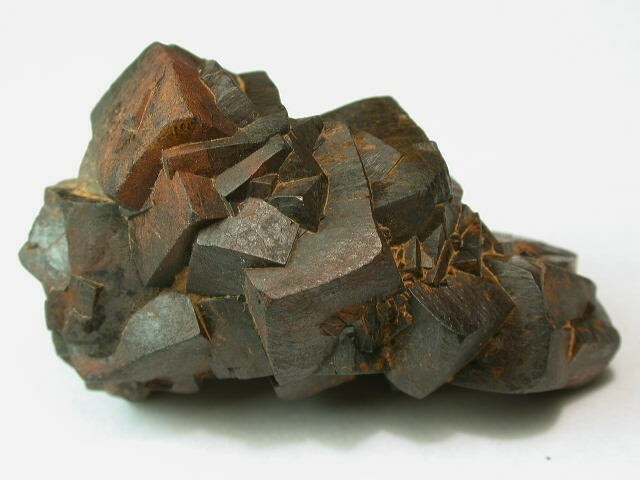 While "limonite" is poorly crystallized, a number of minerals are noted for decomposing to it without losing their crystal shape - particularly pyrite and siderite crystals. 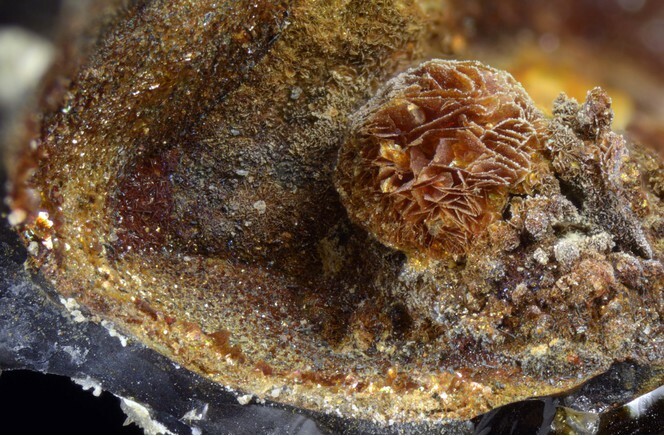 Any "crystals" of "limonite" are actually pseudomorphs of other minerals which have decomposed in this fashion. Auriferous Limonite A gold-bearing variety of limonite. Avasite Probably a siliceous limonite. Formula displayed below is very doubtful. Bean Ore A local name for a lenticular aggregated Limonite. Chromiferous Limonite A chromium-bearing variety of limonite. Exotic limonite Limonite precipitated in rock that did not formerly contain any iron-bearing sulfide. Indigenous limonite Sulfide-derived limonite that remains fixed at the site of the parent sulfide, often as boxworks or other encrustation. Compare with: exotic limonite, relief limonite. Quartz 689 photos of Limonite associated with Quartz on mindat.org. Calcite 436 photos of Limonite associated with Calcite on mindat.org. Pyrite 230 photos of Limonite associated with Pyrite on mindat.org. Baryte 228 photos of Limonite associated with Baryte on mindat.org. Goethite 150 photos of Limonite associated with Goethite on mindat.org. Malachite 144 photos of Limonite associated with Malachite on mindat.org. Siderite 131 photos of Limonite associated with Siderite on mindat.org. Chalcopyrite 119 photos of Limonite associated with Chalcopyrite on mindat.org. Hematite 98 photos of Limonite associated with Hematite on mindat.org. Sphalerite 88 photos of Limonite associated with Sphalerite on mindat.org. Palache, Charles, Harry Berman & Clifford Frondel (1944), The System of Mineralogy of James Dwight Dana and Edward Salisbury Dana Yale University 1837-1892, Seventh edition, Volume I: 685-686. 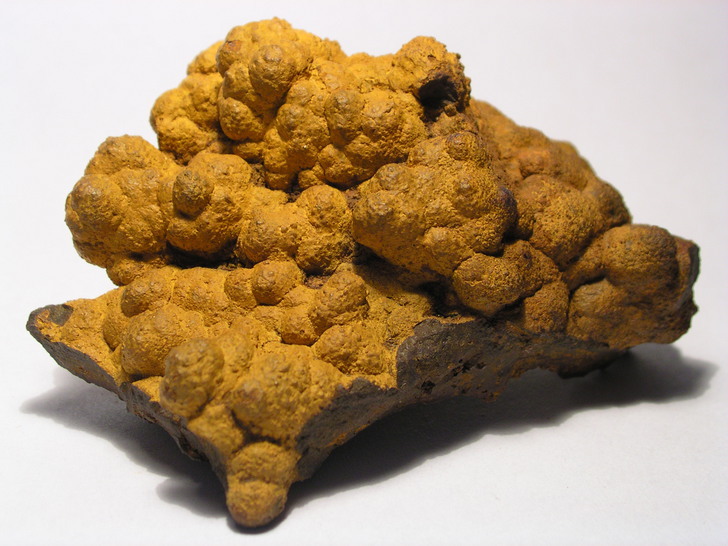 The following Limonite specimens are currently listed for sale on minfind.com. Showing 3 significant localities out of 12,949 recorded on mindat.org.